As I have posted before, I will tackle specific UFO reports if they add something. This one is particularly important. First off, Udo had his encounter long before UFO's ever became public. This means no cultural contamination. Secondly, Udo was a prospector and that makes him a highly skilled observer who knows not to trust his memory and to make detailed notes immediately. I consider prospectors to be the true scientists out there and it is certainly part of my scientific education. That is why this particular report is so good. He did not miss a thing and asked the right questions. It also sets up a time line for UFO interaction on this planet. They did not apply a sampling protocol in 1940. This had changed by 1960. This was an unexpected interaction and conducted straight up. It is also clear that they will recruit accidentals and the individuals so met may well have been part of that stream although they infer otherwise. The life spans also conform to the lifespans reported by the initial successors of the Noah expedition and are thus unsurprising but also additionally confirmed. That the alien attempted to explain the science is astonishing. The rings need to be in the outer edge and the rotation implied may be field rotation rather than physical rotation. The scale and position is what could be expected for a magnetic field exclusion vessel (MFEV) as I have described elsewhere. That the configuration may also have a gravitation effect is unexpected but not implausible at this time. Unfortunately I need access to a well equipped lab and a skilled technician or two to follow up on all this. This is also a reminder that many observers never come forward at all although the internet is helping a lot with this. I personally have received two separate reports by trusted friends who felt confident that they could confide in me. They would never have been heard otherwise. This incident is one of the first UFO / alien encounter reports of the modern era. In May 1940 at Boulder Mountain, Montana, a returned Mormon missionary and miner namedUdo Wartena witnessed a large disc shaped object about 35 foot high and over 100 feet across hovering above a meadow. The object resembled two soup plates, one inverted over the other and stainless steel in appearance. Wartena then saw a staircase unfold from the bottom of the craft. Out of it came a man who asked him if the ship could take some water. The man then invited Wartena inside the object. Wartena accepted and met another man inside who told him they had come from a distant planet and were 609 years old. Though it sounds a bit hokey, it still remains classified as a standard cases and never proven either way. 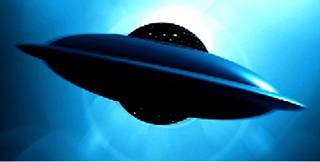 The case was first mentioned in James L. Thompson’s 1993 book Aliens & UFOs: Messengers or Deceivers? An amazing alien encounter 7 years before either Roswell or Kenneth Arnold's sighting may offer our best chance yet to understand where some UFO's come from and why they are visiting our planet. For more than two decades, Udo Wartena, a Dutch immigrant living in the Western U.S., kept what had happened to him one spring morning in May 1940 a secret, not even telling his wife. Before dying in 1989 he finally confided in two friends and then wrote the details of his experience down so it would not be lost. Udo's incredible story remained completely unknown in UFO circles however, until the details were finally released by Australian researcher Warren Aston. Before we review what took place in this deceptively simple report we must remember that this is an unusually early case in the pre 1947 period, which has yielded only small numbers of UFO sightings worldwide, and almost no cases where the occupants of UFOs were reported. Let us remember that in 1940, World War II still raged in Europe, the first satellite was still 17 years in the future and the sound barrier had not yet been broken. Udo Wartena’s experience not only took place in daytime, but involved intimate and open alien contact with a reluctant witness. I have assembled the following from two handwritten accounts and one typewritten account by Udo and from verbal recollections through interviews with the handful of close friends and family members whom he confided in. Udo's encounter took place mid-morning early in May, 1940 at his mining claim in the forest near the base of BoulderMountain, a short distance from Canyon Ferry Lake, near the small town of Townsend, southeast of Helena in Montana. Udo, a 37-year-old miner of Dutch origin was working in the area part-time for the Northwest Mining Company. During the previous month he had found a glacial deposit at the base of the mountain, which showed indications of gold-bearing ore. He began working the site in his spare time and first cleared an old and neglected ditch, which ran around the mountainside, using it to divert the water he would need in his mining from a nearby stream. While moving some large boulders, he heard a humming or droning sound, which he first took to be aircraft, which flew over the area occasionally from Great Falls base in the north. At first Udo took little notice of the sound, but when the noise continued he thought that a vehicle had driven up so he climbed up onto higher ground. A large disc-shaped object, measuring about thirty five feet high and over a hundred feet across, was hovering a short distance away just above the meadow where he had built his dam. Udo described it as like "two soup plates, one inverted over the other" and resembling "stainless steel in color, though not as bright and shiny". As he stood watching, thinking at first that it was an airship, a circular stairway with a solid bottom forming part of the craft's hull was let down and a man who descended began walking towards him. "As I was somewhat more than interested," Udo later wrote, "I went to meet him. He stopped when we were ten or twelve feet apart. He was a nice looking man, seemingly about my age. He wore a light gray pair of overalls, a tam (a common term in that period derived from "Tam O 'Shanter" - a circular cap) of the same material on his head and on his feet were slippers or moccasins". The man asked Udo what he was doing and this was explained. Udo, asked if he would be interested in coming aboard the ship, went willingly and without any sense of fear. As he got underneath the craft, Udo described the humming as "not loud, though it seemed to go through you"; once inside the ship the noise was hardly noticeable except what came up the stairwell. "We entered into a room about twelve by sixteen feet, with a close-fitting sliding door on the farther end, indirect lighting near the ceiling and nice upholstered benches around the sides. There was an older man already in the room, plainly dressed, but his hair was snow white. I then noticed that the younger man's hair was also white." Udo described him as being "young and strong-looking" and having clear, almost translucent skin. Perhaps this explains the curious fact that Udo seems to have asked their age, even before asking their origin; clearly there was something about their appearance to prompt such an enquiry. The men answered that one was "about six hundred years old" as we measure time and the other was "over nine hundred years" of age. They informed him that they knew over five hundred languages and were learning ours and improving upon them all the time. When asked why they wanted to take water from the stream and not the lake, the younger man replied that, "the water was good and was free of algae (as if they had retrieved the same before) and it was convenient". Many years later Udo indicated to a family member that hydrogen extracted from the water was in fact the fuel source for the craft. Udo then asked what caused the noise of the craft and was not only shown the mechanism that powered the disc, but also given what appears to be a full and open discussion of the key principle involved, in the following words:"...'as you noticed we are floating above the ground, and though the ground slopes the ship is level. There are in the outside rim, two flywheels, one turning one way and the other in the opposite direction'. "He explained [that] this gives the ship its own gravitation or rather overcomes the gravitational pull of the Earth and other planets, the sun and stars; and through the pull of the stars and planets...to ride on like you do when you sail on ice. An interesting analogy. Elsewhere Udo described the 'flywheels' or rings as being about three feet wide and several inches thick, separated by rods turned by motors and next to 'battery of transformer'-like units all around the inside perimeter of the circular ship. In essence, on the outgoing leg of its journey the spaceship is pushed away from Earth and pulled toward its distant destination by the engineered local expansion of space-time itself. Asked where they came from, he was told they lived on a distant planet and gave its name - unfortunately not recorded by Udo - and pointed in its direction. Udo asked what their object was for coming to Earth? "Well." he said, "as you have noticed, we look pretty much as you do, so we mingle with your people, gather information, leave instructions or give help where needed." Explaining that they were monitoring the progression and retrogression of our societies, the man claimed that they lived among us from time to time, a clear statement indicating long-term covert alien surveillance prior to 1940. Udo wrote that he did not understand what was meant by them "giving help where needed" but he did not feel it proper to ask about it further. When Udo asked if they knew of Jesus Christ and about religion he was told that they would "like to speak of these things but are unable. We cannot interfere in any way". The area of religion and belief systems was to be the only question the aliens refused to discuss. During his time on board, Udo was invited to be examined for impurities in his system by an "X-ray like machine" which passed over him. Little was recorded about this examination however and Udo seems to have attached scant importance to it. While talking with the two men, a light had come on which Udo believed indicated that the water had been taken care of. He mentioned that he felt it was time for him to leave. The alien's response was to ask if he was interested in going with them, to which Udo responded: " I said that I thought it would be interesting, but felt it would inconvenience too many people. Later, I wondered why I said that". Some time later, Udo recalled an incident about two years previously where a young man had vanished nearby without a trace, despite days of searching by a sheriff's team. He wondered if the young man had met the same craft and gone with them. As he started to leave the ship, they suggested to Udo that he "...'tell no-one, as no one would believe me at the time', but in years to come I could tell about this experience. When I walked away from the ship they raised the stairway, and when I got a couple of hundred feet away from the ship I turned around. "A number [of] more portholes had opened up and though I could not see anyone, I felt sure they could see me, anyway I waved at them. The ship then rose straight up until it cleared the trees, then while circling slightly, it practically rose straight up and in a very short while was completely out of sight. "As I didn't have a watch, I did not know for sure how long I had been with them, but according to the sun it was around noon, or somewhat around two hours." "The detailed and straightforward report of Udo Wartena is the most revealing, informative and totally credible of any claimed alien encounter that I have studied in some twenty years of research. There is not the slightest hint of any deception, evasion or fraud in his story and the witness enjoyed the highest imaginable endorsement for his integrity and honesty - often given unsolicited - by those who knew him best over his lifetime. If, as the evidence overwhelmingly suggests, this experience actually occurred, then at least part of the question about UFO origins is decisively answered. I am not claiming that this case reveals the full picture of alien activity on Earth; the spectrum of alien contact is much broader and more complex than any single case can reveal. I also do not claim that all genuine extraterrestrials have the same appearance that the aliens did in this case; however such aliens are more frequently reported than even many researchers are aware of, but seem to lack the news or book-selling value of the omnipresent 'greys'. My own research suggests that perhaps twenty or more different alien groups may be involved in visiting our planet and operating here at the present time, so obviously a number of motives and agendas are probable..."
In the forepart of May 1940, I had gone upon the mountain and found a glacier deposit. And from all indications had every possibility of carrying values. As I was working part-time for the Northwest Mining Co., I could only prospect on my days off. So it was into the summer before I could prove the ground. There were a lot of large boulders to move but when I got to bedrock, I found some fine gold. As I would need water for washing the material, I figured it was wise to bring the water down to where I could use it. The early day miners had dug a ditch around the mountain side (this was over sixty years before my time), so after clearing the logs and large trash out of it, I diverted the water out of the creek, into the ditch. As the ditch had not been used these many years, it was quite a mess. The ditch was practically level for the first quarter of a mile, so it was late in the afternoon by the time it would flow freely. The next morning I cleaned the main ditch to where I put in a dam. Then, dug a ditch to where I could use the water. As the work for the Northwest Mining Co. had picked up, I wasn't able to work the prospect too much. Though every spare day I had was used there. I still had some large boulders to move and while doing this one morning I heard a noise. Like that of a high flying plane, as army planes flying over, from Great Falls. At first I didn't take much note, but as the noise continued, I thought a car had driven up. So I got upon higher ground. I saw, where I had put the dam in the main ditch, a large (I will call it ship). It looked like a blimp, only more pointed on each end, and not as thick through the middle. About 35' thick, better than 100' long. As I stood there, a stairway was let down and a man came down this and started walking towards me. As I was somewhat more than interested, I went to meet him. He stopped when we were about ten or twelve feet apart. He was a nice looking man, seemingly about my age, 35 or more. He wore a light gray pair of coveralls, a tam of the same material on his head, and on his feet were slippers or moccasins. He asked me if it would be alright if they took some of the water. I could not see why not, I said sure. He then gave a signal and a hose or pipe was let down. His English was like mine, but he spoke slowly, as if he was a linguist. He asked me what I was doing. I explained this to him. He asked me if I would be interested to come aboard. As he seemed an intelligent and pleasant person, I figured it would be interesting. As we got closer to the ship, I noticed that it was round, like two dinner plates, one inverted over the other. It seemed to be made of metal. As I look back and compare, it seemed like stainless steel, though not bright or shiny. The ship appeared to be about 35' thick and well over a hundred feet in diameter. When we got into the ship, we entered into a room about twelve by sixteen feet, with a close fitting door on the farther end. Indirect lighting near the ceiling, and nice upholstered benches around the sides. There was an older man in the room, plainly dressed and with white hair. It was then that I noticed that the younger man also had white hair. Somehow I believe they knew who I was, but they did not introduce themselves. Perhaps if they had, I may have been a bit upset. The younger man asked me what I would be interested in. So I first asked why they wanted this particular water. He said the water is good, as if they had gotten the same before, and it was convenient. After we had entered the ship, I had noticed that the sound I had heard outside, was hardly noticeable, except what came up the stairwell. So I asked him what caused the noise or humming. He said this would be a bit complicated, but he would try to explain so I could understand. He said as you noticed we are floating above the ground, and though the ground slopes, the ship is level. There are in the outside rim of the ship two flywheels one turning one way and the other the opposite direction. He explained that this gives the ship its own gravitation, or rather overcomes the gravitational pull of the earth, other planets or the sun or stars. And though this pull is light, we use this gravitational pull of the stars and planets to ride on. He went into somewhat greater detail on the power development by these two flywheels. He mentioned something about them developing an electromagnetic force. As this was quite new to me and he realized that, but he saw I had gotten the picture, so he stopped. I asked him where he got the energy to run the ship. He said from the sun and stars, and he would store this in batteries, though this was for emergency use. I also asked him what their object was or purpose in coming here. Well, he said, as you have noticed, we look pretty much as you do, so we mingle with you people, gather information, leave instructions, or give help where needed. I would have liked to ask him more about that, but didn't feel this proper, so let it ride at that. While we had been talking, a light had come on apparently signaling that the water had been taken care of. When I felt it was time for me to leave, I mentioned this. He asked me if I would be interested in going with them. I said that I thought it would be interesting to go with them but it would inconvenience too many people. Later I wondered why I had said that. As I started to leave, they suggested that I tell no one, as no one would believe me at that time, but in years to come I could tell about this experience. When I walked away from the ship, they raised the stairway, and when I got a couple of hundred feet away from the ship, I turned around. A number more portholes had opened up and though I could see no one, I felt sure they saw me. Anyway, I waved at them. The ship then rose straight up, then while circling slightly it continued going straight and in a very short while was completely out of sight. As I didn't have a watch, I did not know how long I had been with them. It was around noon so it must have been about two hours from the time I first saw the ship. This whole experience was so overwhelming that I did not go back to work. I kept going over in my mind all that had happened. I went back to where the stairway had been and though it hadn't gone into the soil, the grass was crushed down. I wondered at the time, why I hadn't accepted the invitation to go with them but instead had said "that it would inconvenience too many people". I then recollected an incident which happened a few years before I came to this district. A young man was staying with an old prospector, and early one morning before eating he put on a light jacket and told the man he would be gone for a while. When the young man did not show up all that next day or the next, the old prospector notified the Sheriff, and he with his deputies and about forty C.C.C. boys looked all over for him, but no trace was found. I have wondered if he might have accepted an invitation to board a ship similar to mine. I have wondered at times if this could have all been in my imagination. But then again I saw the impression of the ship in the grass. Then over the years a number of things have come to mind. The explanation of how this ship moved, seemingly not affected by earths gravitational pull. From what the man told me at the time and what has come to me since, I believe I am not too far from an answer to this. It is for this reason I am writing to you. No doubt with the help of some other minds, the answer will be forthcoming. We have just about reached the stage where we need a different type of air transportation and this is the answer. I feel confident that you could put me in touch with some people who could help to this end.